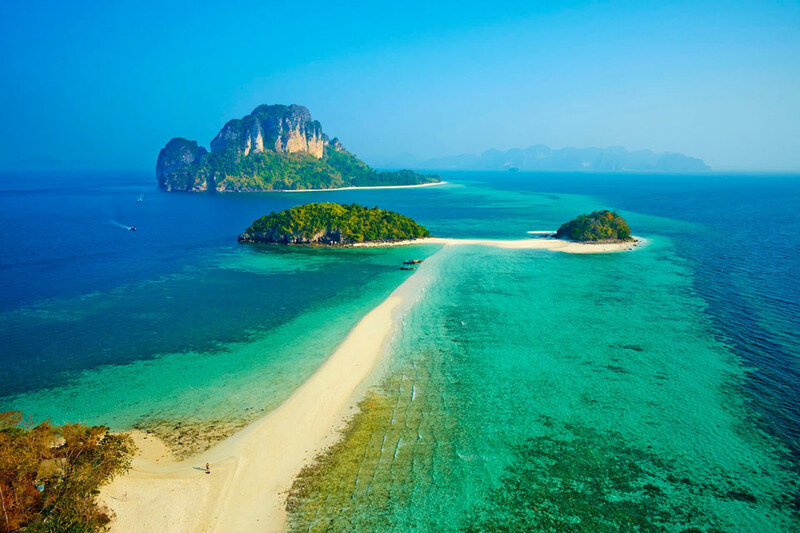 You are about to explore the amazing coast of Krabi Province famous for its small but picturesque islands. 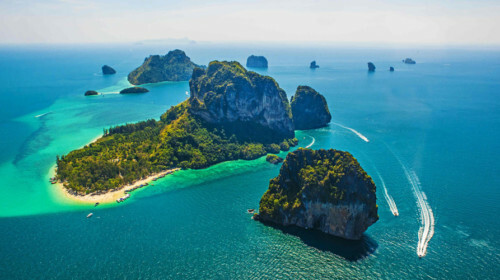 The most famous of them is the “4 Island Group”, with the stunning islands of Poda and Chicken being the largest. As well as Hong Island hiding an emerald green lagoon inside. 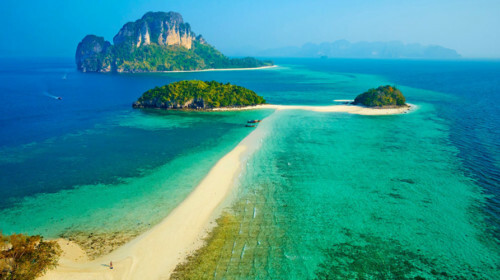 Having departed from Phuket or Krabi, you are now on the way to the beautiful 4 Islands that include the islands of Koh Dam Hok (or Koh Poda), Koh Dam Khwan (or Chicken Island), and 2 tiny rocky islets (Koh Tup and Koh Mor). 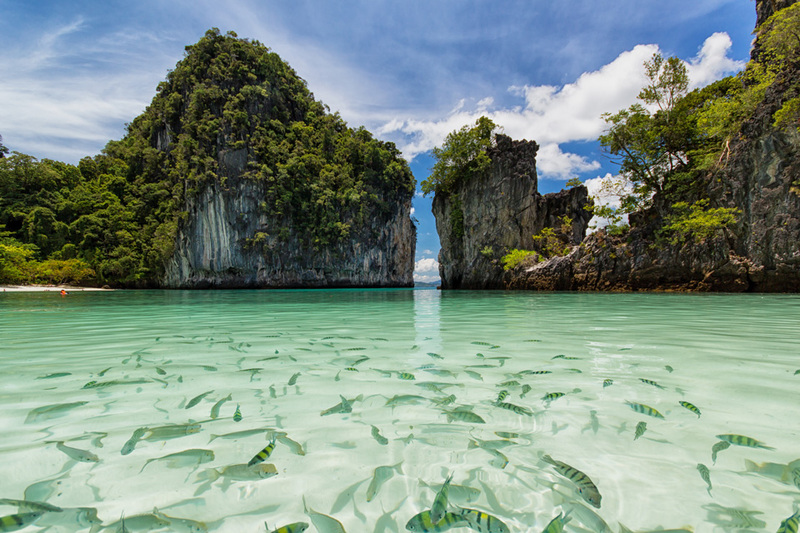 On arrival grab your mask and flippers and go snorkeling – the underwater world in Krabi has a lot to show you. After snorkeling, if the tide is low enough, head to the other 2 islands of Tup and Mor to walk along the 300-meter sand bar while enjoying the stunning views of the cliffs of Railey Peninsula. 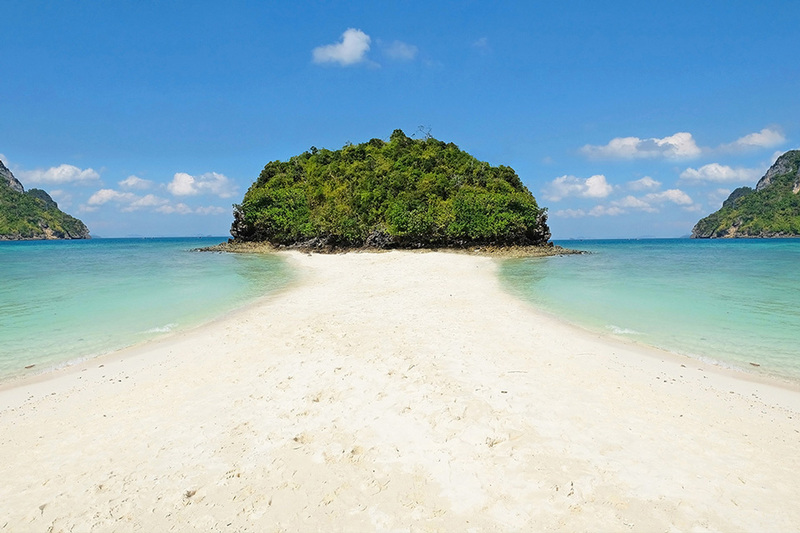 Locals call this place Miracle Beach (or Talay Waek). It’s time to head up north to another local gem of Hong Island. Upon arrival, you are served a delicious lunch on board and later can either chill on the boat or go exploring the beach. 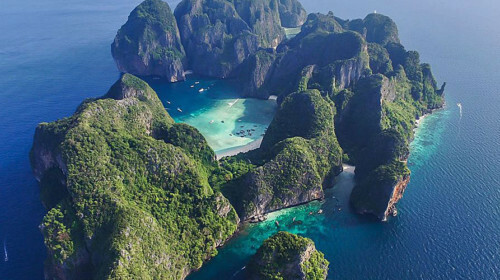 Framed by limestone rocks, the beach of Koh Hong is a stunning place to visit. Enjoy swimming in the clear waters alongside the colourful fishes. 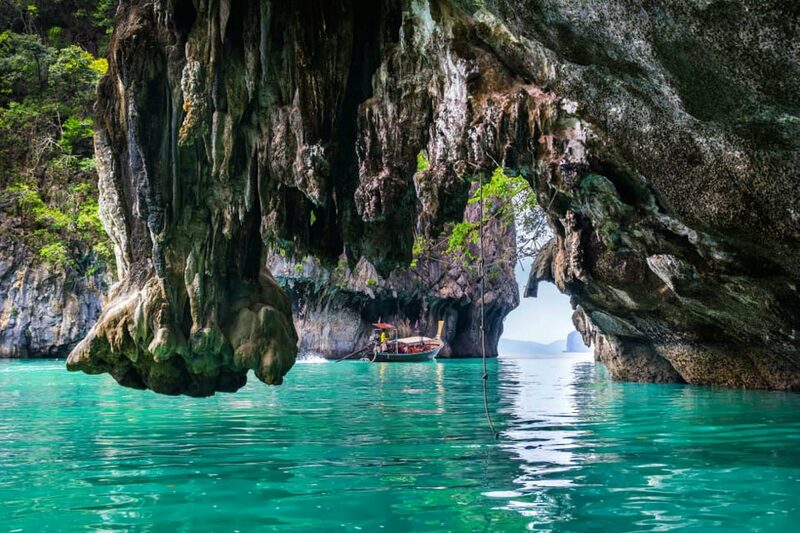 And then get into the dinghy and visit a hidden lagoon “inside” the island which makes Koh Hong famous. 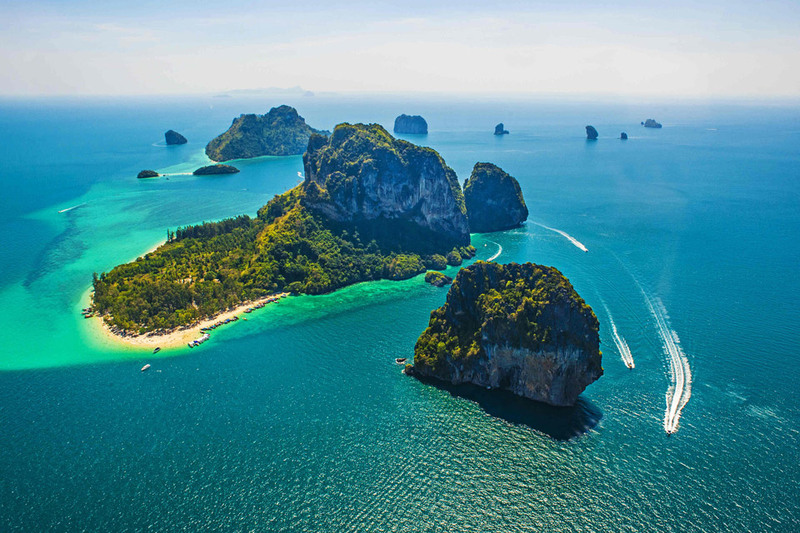 After you are back to the boat make yourself comfortable and enjoy the sights of Krabi as you cruise among the stunning rocky islands. The boat heads down south to the channel between the islands of Yao Noi and Yao Yai where you can have one more stop at the small island of Koh Nok. 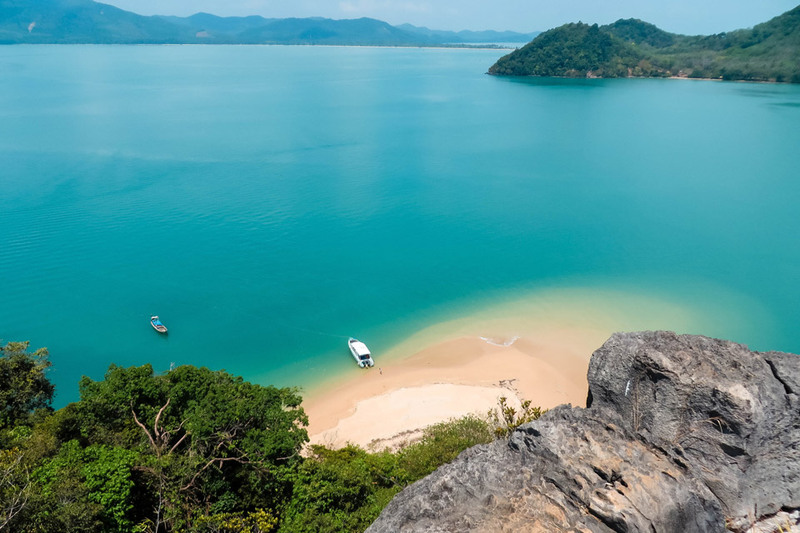 Have a stroll along the beach covered with odd-shaped corals and shells and enjoy a refreshing swim before cruising back to Phuket or Krabi. 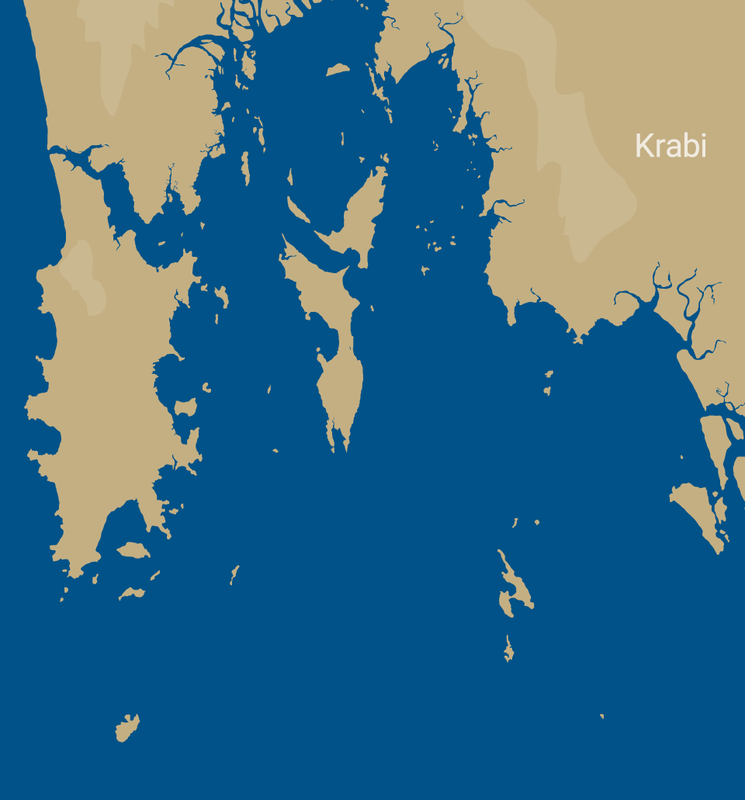 Contact Boat in the Bay to experience the Krabi day tour by private yacht. 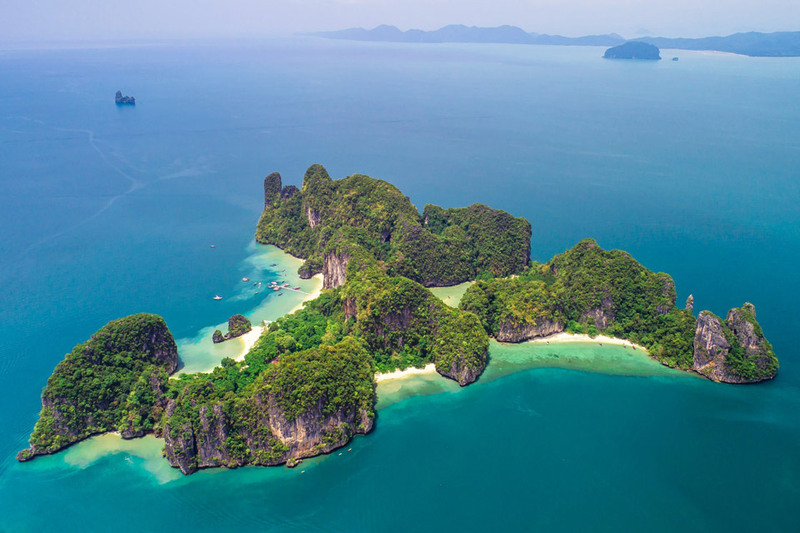 Other options on our 1-day cruise timetable starting in either Krabi or Phuket would be to visit the locations of Phang Nga Bay, the Phi Phi Islands, or the Racha Islands, or to cruise around the secluded beaches of Phuket.